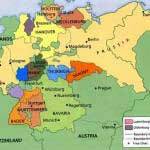 This revision podcast presents the background of German unification. Beginning with the Congress of Vienna in 1815, the podcast goes on to explore the opposing conservative and progressive factors at play in the early 19th Century. In terms of conservatism, we consider the impact of Metternich, the role of the nobles and the influence of the church. 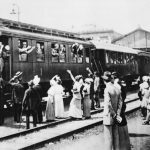 The growth of progressive factors such as the impact of the railways and industrialisation, the middle class, and the Zollverein are also considered. What if the Schlieffen Plan had worked? This documentary examines the counter-factual debate of what would have happened if the Schlieffen Plan had worked. It opens with a review of the ‘real’ events, and then speaks to various experts to find out their opinion on how things could have been different.